KANSAS CITY, Mo. 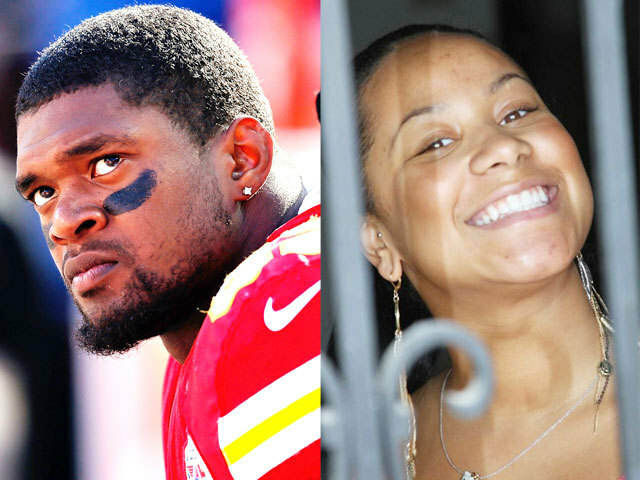 - An autopsy performed one year after Kansas City Chiefs linebacker Jovan Belcher fatally shot his 22-year-old girlfriend and killed himself found signs of chronic traumatic encephalopathy (CTE), the degenerative brain disease found in athletes and others with a history of repetitive brain injuries. Belcher, 25, killed Kasandra Perkins on Dec. 1, 2012, in the couple's home while his mother was caring for his baby daughter in a nearby room. He then sped from the residence to the Chiefs' training facility, where he shot himself in the head in front of then-general manager Scott Pioli and then-coach Romeo Crennel. Belcher's mother, Cheryl Shepherd, filed a lawsuit in December in Jackson County Circuit Court in Kansas City alleging her son was subjected to "repetitive head trauma," and that the Chiefs failed to provide adequate medical care before he killed his girlfriend and then committed suicide. That lawsuit and similar actions by more than 30 plaintiffs - many of them former Chiefs players - have been moved to federal court and subsequently set aside while a $765 million settlement between the league and various lawsuits is going through the approval process. "We're coming now within weeks of a decision where all of the NFL players have to make a decision to stay in or opt out of the settlement," said Dirk Vandever, an attorney for one of three law firms representing plaintiffs in head-injury lawsuits against the Chiefs. The autopsy was performed last December at the request of lawyers for Zoey Belcher, the baby daughter of Jovan Belcher and Perkins. The results, sent in February to the attorneys and released to the media Monday, showed signs of CTE, which was also found in former NFL players Junior Seau and Dave Duerson, who both committed suicide. "The microscopic findings of neurofibrillary tangles in young person are fully consistent with the pathological presentation of Chronic Traumatic Encephalopathy as it is reported in the available medical literature," the report concluded. Vandever said the law firms released the autopsy report now because of a heightened awareness of domestic abuse in the NFL after incidents involving top names like running backs Ray Rice and Adrian Peterson. "In the past month five different NFL players implicated in horrendous episodes in domestic violence," he said. Ken McClain, whose firm also is involved in the lawsuits against the Chiefs, said the autopsy findings support what the plaintiffs have been saying all along: that repeated head trauma can cause players to become angry and lose control of their impulses. "The Chiefs knew he and his significant other were having major domestic violence issues and he had a major concussion two weeks before this happened," McClain said. In a statement, the NFL said: "The NFL has a long history of a changing the rules of the game to make it safer on the field, providing players the best medical care, and updating protocols on diagnosing concussions, treating concussions, and returning to play after a concussion." Chiefs spokesman Ted Crews declined to comment about the report, citing the ongoing litigation.